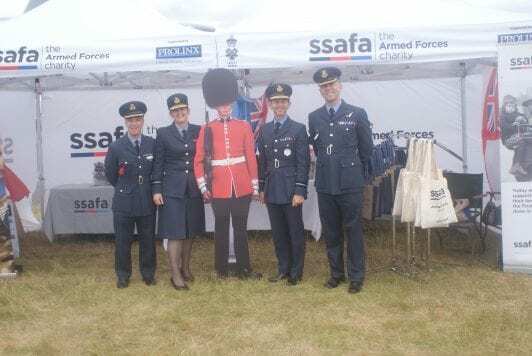 Prolinx were delighted to support Armed Forces charity SSAFA at this year’s Royal International Air Tattoo (RIAT), held at RAF Fairford, Oxfordshire. Prolinx’s support of SSAFA goes back many years and enables SSAFA to help veterans and their families. The Air Tattoo is is the world’s largest military airshow and is one of the UK’s premier outdoor events. As well as action in the skies, visitors were also entertained on the ground with an impressive showground comprising of a techno-zone, RAF village, vintage village, autodrome and activity zone. Special thanks to Neil Howard for the photograph.